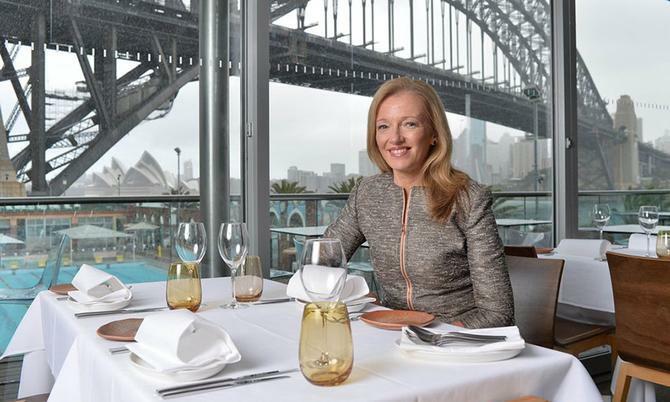 Citibank Australia’s managing director of marketing, digital banking and customer experience, Linda Duncombe, isn’t afraid of change. During her four-and-a-half years with the banking group, she has been instrumental in helping transform the organisation from a second-tier challenger trying to address all sectors of the Australian market, to a targeted customer-first business that relies on digital competence, global reach and value-added, relevant offers for its success. At the time of her appointment, Duncombe was tasked with developing a profile and personality that fit Citibank’s more targeted customer agenda. Her role, newly created in 2010, also brought together marketing, digital and customer experience for the first time. Her responsibilities include Australian partnerships and sponsorship, marketing strategy, digital acquisition and servicing, and customer strategy including communications and the contact centre, analytics and brand tracking. Prior to Citi, Duncombe was in business banking at NAB, where she ran strategy marketing and sales. “Roy [Gori, Citibank CEO at the time] wanted to create a leadership team that was transformational but also something that had longevity,” she told CMO. “Before then, we’d been seen as all things to all people, but David and Goliath would have been a fairer fight. The big four banks have 8000 branches; we have 14 in Australia. They have 15,000 or more ATMs; we have 300. That is big and you can’t compete with that. When Duncombe started, Citi found itself with an unaided brand awareness of 9 per cent. An early realisation was that digital was a hugely important capability for its target audience of time-strapped, affluent customers living in urban areas. “We could see digital was something we had to get in front of in Australia, especially given our physical landscape as well as the behaviour of Australians and their ability to quickly embrace new technology,” Duncombe said. Another more recent area of innovation is what Duncombe labels “globality”. “Australians are globally minded: We like world news, we like having stamps in our passports, we like to watch travel shows and travel, and we’re very connected digitally,” she said. “Global has a new meaning. Our social and digital connections are not restricted the kids that lived on your street that you played with when you were younger. It’s far more reaching and Australians have quickly adopted that. At the heart of Citibank’s engagement strategy is identifying areas of interest to its target market where it can add value and build loyalty. A core area of spending was food; through customer research, Citi found its core customers continue to spend on eating out regardless of economic conditions. Enter Citi’s ongoing sponsorship of the Good Food Month event series in partnership with Fairfax, and its expanding dining program. Under the Citi dining program, card holders are offered a complimentary bottle of wine at hundreds of participating restaurants supplied by national partner, McWilliams Wines. Thanks to the program, the average ticket price has increased in restaurants for these customers, as has repeat visitation. More important for the banking brand, it’s driven a much higher level of engagement and interaction with customers. “We’re excited by the fact that we’re doing something other industries do very well but from a financial institution vertical. We feel we have a really good handle on the dining piece,” Duncombe said. It’s vital brands have the ability to offer value-adds to customers if they want to build loyalty and advocacy. Citi’s dining program is vital in achieving this objective, she claimed. “Customers are asking for engagement; they don’t just want the product or service that provides the reward or loyalty, and they want us to be more than just a bank,” Duncombe said. The dining program is about positioning Citi as a partner focused on a customer’s interests. “People don’t buy a mortgage, they buy a home. How do we show customers that we would love to have the privilege of helping them do that? It’s about trust,” Duncombe continued. “We build this by behaving in ways people don’t expect a bank to behave – and to do that, we need to have a genuine ‘surprise and delight’ factor. “When you look at affluent customers, they’re super time-poor, which is why they like digital channels as they can do things in their own time. Then think about when you make major decisions in your life – you usually go to someone you trust within your circle. “When our customers are sitting in rooms or talking to each other on Facebook, I want them to be able to say, when you’re looking for a card, to go to Citi as the dining program is amazing. That is more in-marketing than I could ever pay for. It’s also incredible advocacy. It’s not just dining of course – at a wider level, Citi is striving to offer customers unique experiences. These include VIP seating at concerts and events, customer-only accessible events and pre-sales ticket allocation offers. As a result of its experience-driven offers, Duncombe said it had seen EDM open rates soar to more than 50 per cent. “When our customers see what the subject title is, which is always dining related, they’re interested,” she said. Alongside the customer-facing work, the company has introduced a range of operational changes to keep customers top of mind. One of these has been adding an NPS component to every employee’s scorecard. “In some way, you’re going to impact the customer,” Duncombe said. “You’re part of the supply chain and that’s very important to customer experience. If I have someone sitting in technology saying we’re going to rollout something that doesn’t make sense for the customer, we won’t do it. I’ll give them customers to speak to so we can understand how this impacts them, or we organise a focus group. For Duncombe, a customer-centric business also requires visible metrics available to all staff. In addition, Citibank has rolled out a ‘customer connect’ program requiring all staff to sit with employees dealing directly with consumers in the call centre or retail branches. “But if the visibility and belief doesn’t come from the top, it doesn’t stick,” Duncombe said. “It’s our CEO, Julian Potter, [appointed in 2013] who has changed our culture and said that while we’re not going to have as many customers, we’ll have more customers that see value with us. Having the ability to recognise customers and personalise content and marketing through data and technology is another piece in this puzzle. In April, Citibank Australia was the eighth country to move onto the group’s global multi-channel technology management platform, which delivers customers an integrated service experience. Duncombe said it is growing its analytics capabilities and increasingly adapting and testing its communications with its customer base. It has also personalised customer bank statements, providing a more tailored cover email that draws on its dining programs and a customer’s location. “My dream is that you buy a ticket on your credit card to fly to London and straight away, you get a notification saying you get travel insurance with this, just by being a Citi customer, because that's something we already offer,” Duncombe said. “We haven’t previously been telling our customers about these added value offers because we haven’t the analytics in real-time across all touchpoints. That’s where I would like to get to in six to 12 months. At the same time, Duncombe wants to ensure growing customer analytics efforts don’t cross the line into “creepy”. “It’s about finding the balance - where does a customer see value in it, and when we can use the data to help understand them as a person and individual,” she added. Having laid the groundwork for better customer engagement, Duncombe’s to-do list includes building out its “globality” promise by creating a global rewards program. The dining program is a key piece in that, and her team is working with the US on rolling out the program to American customers. She is also co-leading a global on-boarding program to better align welcome initiatives across 25 countries in partnership with the US. Technology utilisation is another big one for marketers, and Duncombe flagged new updates to its mobile app early next year to provide global roaming and location-based customer recognition. She’s also keen to ensure the bank can keep pace with digital change and embrace new innovations. To illustrate, Duncombe pointed out more than half of Citi’s digital team today came from industries outside of banking and traditional marketing roles, and are actively trialling new channels. Duncombe rated Citi’s current ability to provide consistent digital customer experiences as a “nine out of 10”, but saw plenty of room for improvement still with its call centre interactions.